The city’s decision to file amicus briefs supporting the Trump administration’s legal challenge against California’s sanctuary laws was one issue brought up during Mayor Sam Abed’s town hall meeting on April 11. Resident turnout was low, about a dozen people, but one man challenged Abed on his views of immigration and the city’s 4-1 vote to support the federal case. On April 16, Abed also rallied for support during an anti-illegal immigration rally in San Diego, an event to urge the San Diego County Board of Supervisors to join a lawsuit against the state. Last week, Abed reaffirmed his position on eliminating SB 45, otherwise known as The California Values Act, which prohibits local law enforcement from cooperating with the U.S. Immigration and Customs Enforcement agency. 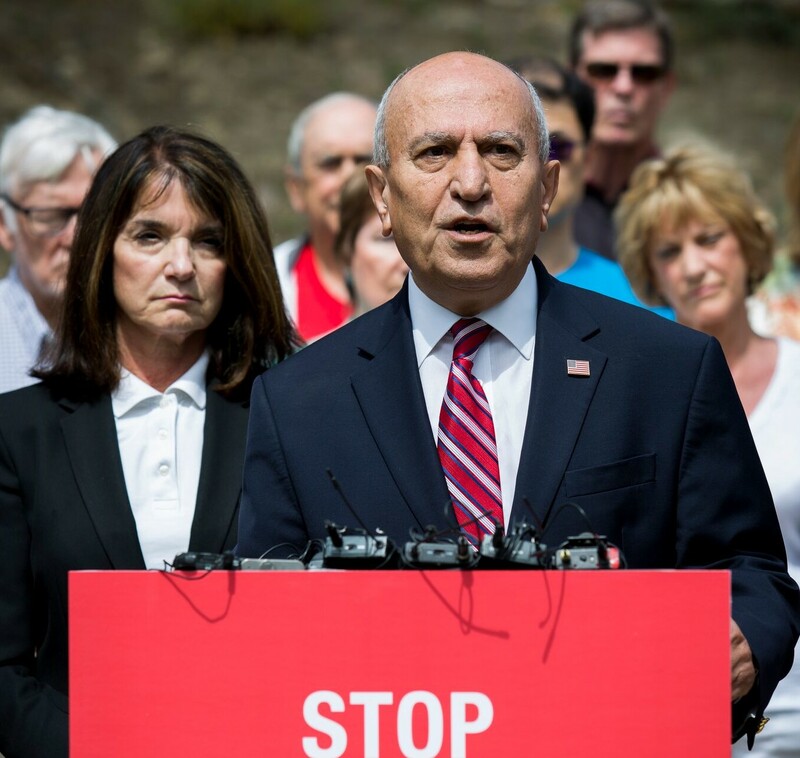 Abed, who immigrated to the U.S. from Lebanon 30 years ago, said since 2010, Escondido police and ICE have arrested and deported about 2,000 illegal immigrant criminals. He said those illegal families who work, go to school and contribute to the community were not targets. Now, he said, those individuals are being targeted because ICE and the Escondido Police Department can’t coordinate. Abed also said he supports Dreamers, children of illegal immigrants who are also subject of deportations. One of the biggest issues on a national scale, Abed continued, is immigration reform, which he supports. However, he said the logjam in Congress is due to Republicans wanting cheap labor and Democrats chasing votes. Those two aspects, he added, are why reform is not possible, yet. In other news, Abed also discussed the San Diego Association of Governments pumping $7 million for an environmental impact report and construction of an HOV lane from Interstate 15 to Highway 78.